Home > Chess Books > All Books > Black Is Still OK! When Black Is OK!, Andras Adorjan’s first book, was originally published in 1988, it became an immediate bestseller and a cult classic. In this follow-up, his message remains just as emphatic: too many chess players adopt an unnecessarily defensive approach with the Black pieces. Instead, they should strive immediately for double-edged positions with winning chances. 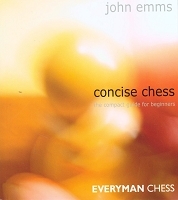 Adorjan offers concrete opening variations and illustrative games to support his claim.